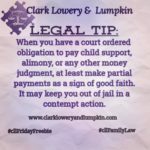 If your child was born out of wedlock, you will likely be involved in the court system to recognize parental rights and/or establish child support. In order for the father to have legal rights to their child, the father needs get his child legitimated. Until the father goes through the legitimation process, he will have no legally recognizable rights as the child’s father. Mother’s will likely file a paternity suit for purposes of child support. It is important to note that legitimation and paternity are not synonymous. They are two different court processes with their own legal effects. Paternity is all about establishing the biological father. This family law action obligates the determined biological father to pay child support. Paternity suits are primarily beneficial to the mother to garnish child support without the court recognizing the fathers’ parental rights. Fathers can file a legitimation action to counterclaim the paternity suit to establish his legal rights. The Petition for Paternity can be filed in the court where the alleged father resides or where the child resides. Other parties that may file a petition for paternity include: the child, any relative in care of the child, Department of Human Services and the alleged father. 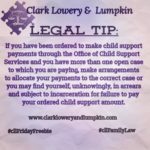 Once paternity has been established, the court will order the biological father to pay child support in lines with the Georgia Child Support Guidelines. Legitimation is all about establishing your legal rights as the child’s father. Through this process, a fathers parental rights will be legally recognized. The legal effects of legitimation actions also include the ability of the child to inherit from the father (vice versa), father’s right to child custody and visitation and the chance for the child to take the father’s last name. The father may file a Petition for Legitimation with the court in the county the mother and child reside. Legitimation petitions are not automatically granted. Once the petition is filed, the court will hear evidence by both parties to determine whether legitimation is appropriate. The standard the court evaluates the petition is by determining whether the father may be a fit parent or whether legitimation will be in the best interest of the child involved. This allows the father to exercise his right to participate in decisions for the welfare of the child. It is also very important to file for legitimation early. 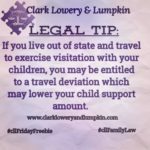 The court may look upon you unfavorably if there is an unreasonable delay in the father establishing their rights. Paternity and legitimation law suits can become no simple task. Our attorneys are very experienced in representing people in these types of cases. Feel free to call our firm to speak with one of our attorneys to assist with your particular case.